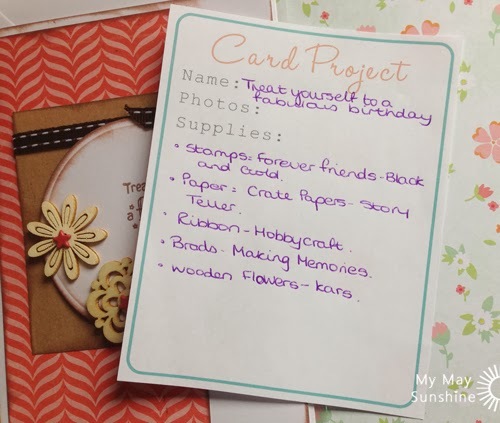 When it comes to writing a blog post that is about a card I have made, I find it difficult to remember what the supplies were that I needed to include in the post. 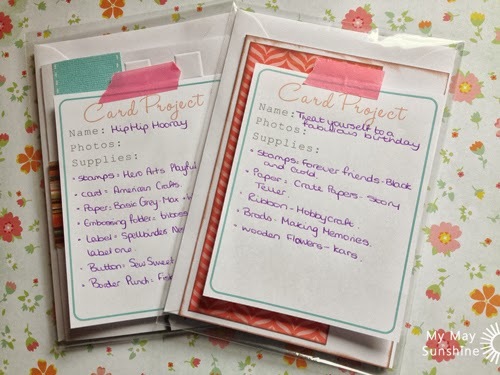 I have written the supplies down on bits of paper and on post it notes but quite often don’t write down what card they are for. So I decided to make my own printable card project forms that I could just print off and store some ready for use. 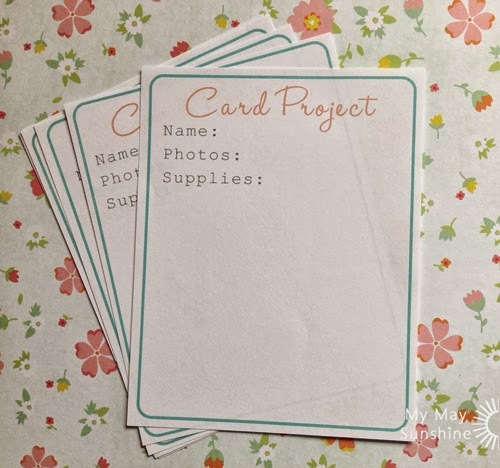 Using these forms helps to remind me to write the name down or create one for the card. I included just a few titles to allow me to keep track of the supplies. I write down the name of the card, the titles of the photos used and then can write down the supplies. 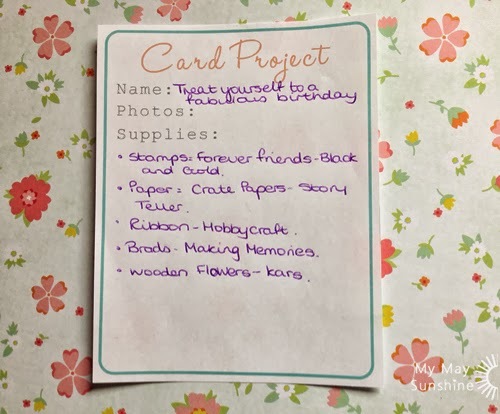 When I have finished with the card and it is inside the clear envelope, I just simply use a piece of washi tape on top of the card project form and stick it to the front of the clear envelope. That way I know all the details of the card ready for creating a blog post and also I know which cards need to be posted on the blog at a glance. Once the card is posted on the blog I take the form off the card and store them elsewhere in case I need to look at them in the future. Here is the printable if you are interested in printing some off for yourself. Let me know what you think of these. I have found them very useful and hope you do too.